It has always been with a sense of awe that I regard those who have either voluntarily or involuntarily, assumed the role of guardians of life and liberty, by taking an oath to preserve and defend the Constitution against enemies, foreign and domestic. We owe our security, safety, and freedoms to our military men and women who don the uniform of our various military branches, who may enlist for different reasons, yet are willing to make the ultimate sacrifice. They know all too well that they can, and most likely will, be called upon to place their lives in harm’s way for our sake, and untold millions around the world. I vividly recall visiting Arlington National Cemetery as a teenager. Even at that age I was moved to tears to observe the seemingly numberless, perfectly aligned crosses marking the final resting places of those who have fallen in defense of liberty. The experience was made even more poignant by observing the solemnity of an internment ceremony of yet another of America’s young sons, buried in the soil that he gave his life to defend. Those same emotions have cascaded over me as I have visited the Field of Heroes in Pocatello, Idaho, honoring those who served in Afghanistan and Iraq, and witnessed the traveling Wall recognizing the fallen from the Vietnam War. 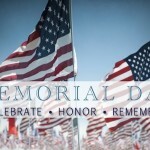 The sense of loss, coupled with profound gratitude for their sacrifices in our behalf is truly ineffable. Over the years, with the added perspicacity afforded by historical context, and the increased sensitivity to sacrifice that comes with age, my sense of gratitude has only deepened. Especially in an era when there is no compulsory military service, why would young men and women full of hope and promise for the future be willing to sacrifice their future, for ours? What possibly could motivate them to secure our future, our lives, and our freedom by placing theirs in jeopardy? Various reasons are given for joining the military, but after reading, hearing, and watching testimonials of countless brave young men and women who joined our armed forces ranks after 9/11/01, I’m convinced the majority do it at least in part, out of a sense of protection for the nation they love and their families for whom they’re willing to give all. They do it out of loyalty to the principles of life, liberty, and the pursuit of happiness, which made America unique among all nations. They do it out of a sense of gratitude, that because they have been given much by being born in relative freedom in these United States, that they too must give. Sacrifices are not made solely by those who serve, but by their families as well. 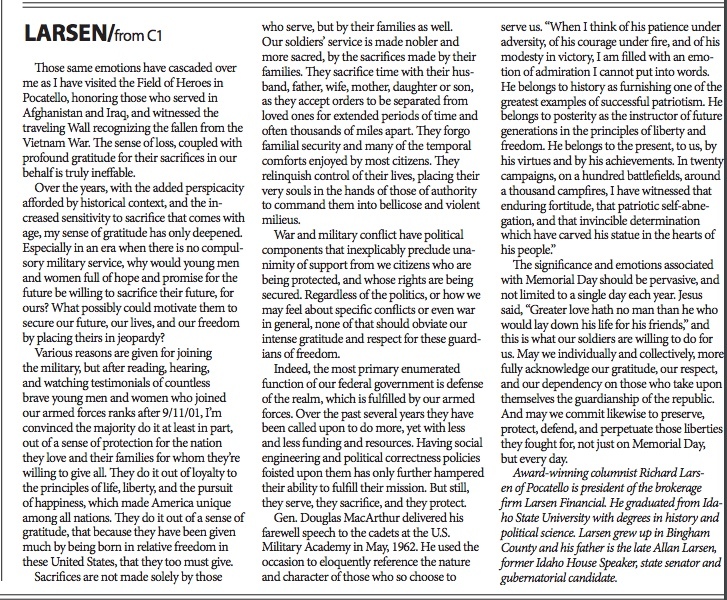 Our soldiers’ service is made nobler and more sacred, by the sacrifices made by their families. 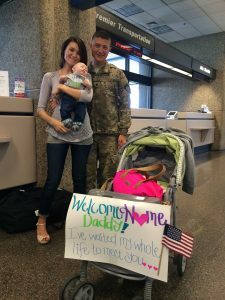 They sacrifice time with their husband, father, wife, mother, daughter or son, as they accept orders to be separated from loved ones for extended periods of time and often thousands of miles apart. They forgo familial security and many of the temporal comforts enjoyed by most citizens. They relinquish control of their lives, placing their very souls in the hands of those of authority to command them into bellicose and violent milieus. War and military conflict have political components that inexplicably preclude unanimity of support from we citizens who are being protected, and whose rights are being secured. Regardless of the politics, or how we may feel about specific conflicts or even war in general, none of that should obviate our intense gratitude and respect for these guardians of freedom. Indeed, the most primary enumerated function of our federal government is defense of the realm, which is fulfilled by our armed forces. Over the past several years they have been called upon to do more, yet with less and less funding and resources. Having social engineering and political correctness policies foisted upon them has only further hampered their ability to fulfill their mission. But still, they serve, they sacrifice, and they protect. 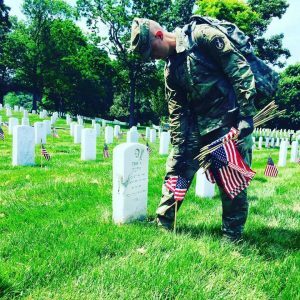 The significance and emotions associated with Memorial Day should be pervasive, and not limited to a single day each year. Jesus said, “Greater love hath no man than he who would lay down his life for his friends,” and this is what our soldiers are willing to do for us. May we individually and collectively, more fully acknowledge our gratitude, our respect, and our dependency on those who take upon themselves the guardianship of the republic. 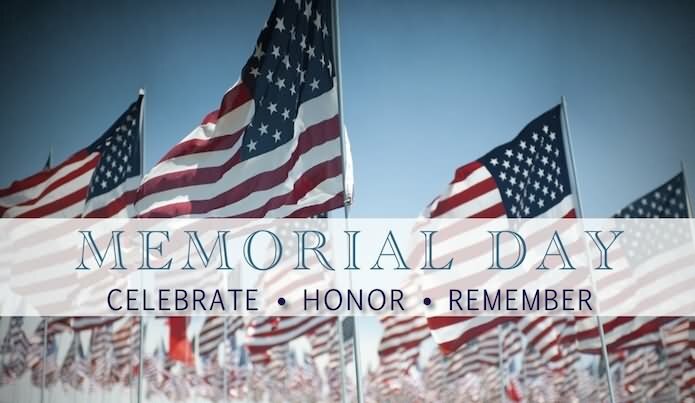 And may we commit likewise to preserve, protect, defend, and perpetuate those liberties they fought for, not just on Memorial Day, but every day. Associated Press award winning columnist Richard Larsen is President of Larsen Financial, a financial planning firm in Pocatello, Idaho and is a graduate of Idaho State University with degrees in Political Science and History and coursework completed toward a Master’s in Public Administration. He can be reached at rlarsenen@cableone.net.